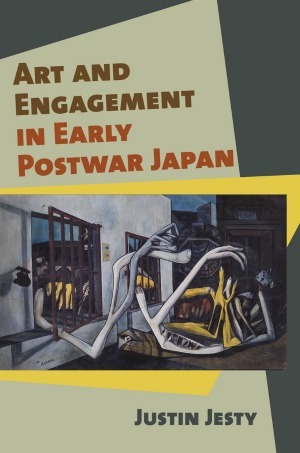 Friday, Dec 7, 2018, 3:30 – 5 p.m.
Justin Jesty, associate professor at the University of Washington Department of Asian Languages and Literature will be giving a talk on his newly published book Art and Engagement in Early Postwar Japan (Cornell Univ. Press 2018). Jesty reframes the history of art and its politics in Japan post-1945 and examines writings and artworks, together with the social movements they were a part of, to demonstrate how art -- or more broadly, creative expression -- became a medium for collectivity and social engagement, anti-capitalist and anti-war activism. For more information please contact japan@uw.edu.